The easy accessibility of political fiction in the long eighteenth century made it possible for any reader or listener to enter into the intellectual debates of the time, as much of the core of modern political and economic theory was to be found first in the fiction, not the theory, of this age. Amusingly, many of these abstract ideas were presented for the first time in stories featuring less-than-gifted central characters. 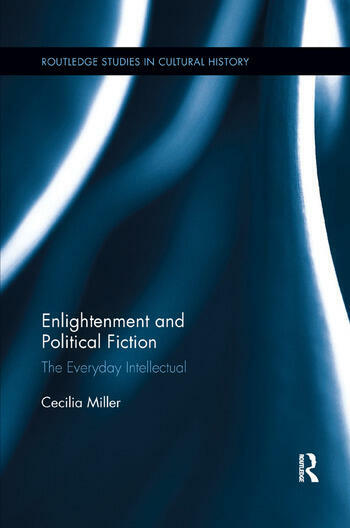 The five particular works of fiction examined here, which this book takes as embodying the core of the Enlightenment, focus more on the individual than on social group. Nevertheless, in these same works of fiction, this individual has responsibilities as well as rights—and these responsibilities and rights apply to every individual, across the board, regardless of social class, financial status, race, age, or gender. Unlike studies of the Enlightenment which focus only on theory and nonfiction, this study of fiction makes evident that there was a vibrant concern for the constructive as well as destructive aspects of emotion during the Enlightenment, rather than an exclusive concern for rationality. Introduction 1. Don Quixote (1605, 1615), Rationality, and Forms of Government 2. Simplicissimus (1668, 1669), Religious Toleration, and Friendship 3. Gulliver’s Travels (1726, amended 1735), Science, and Social Class 4. Candide (1759), Sexuality, and the Modern Individual 5. The Betrothed (1825-1827, 1840-1842), Revolution, and the Perfectibility of the Human Mind. Conclusion. Cecilia Miller is Associate Professor of History and Tutor in the College of Social Studies at Wesleyan University.